An open mic night open to all acts. 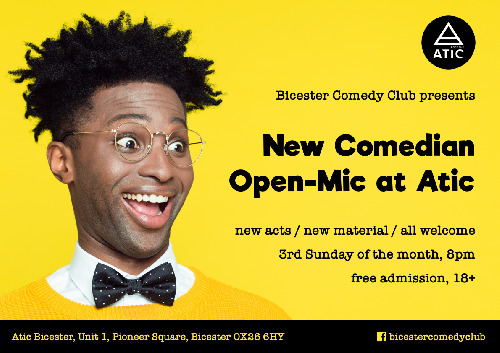 Come along and have a go at stand-up comedy or practice your new set in a great club environment with a friendly atmosphere. We'll have a limited number of 5-minute slots each time. To reserve a slot please apply here, message us on Facebook (Bicester Comedy Club), or turn up on the night and take your chances!